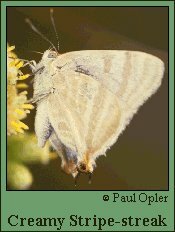 Identification: Upperside pale blue with black edges. 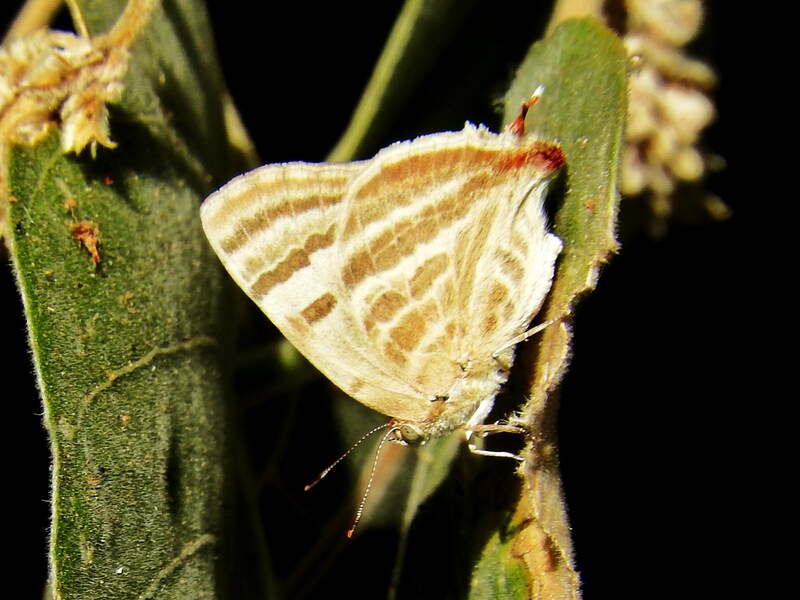 Underside white with cream-colored bands. Caterpillar Hosts: Solanum umbellatum in the potato family (Solanaceae). Habitat: Open areas of the subtropics. Range: Central America north through Mexico. Rare stray into southern Arizona.